Nottingham is known for its beautiful green spaces. With over 20% of the city devoted to public parks and gardens, a relaxing stroll or bike ride is never too far away. From stunning nature reserves to rolling hills, here’s our pick of the best places to chill – in and just outside of the city. City living can sometimes get a little hectic. 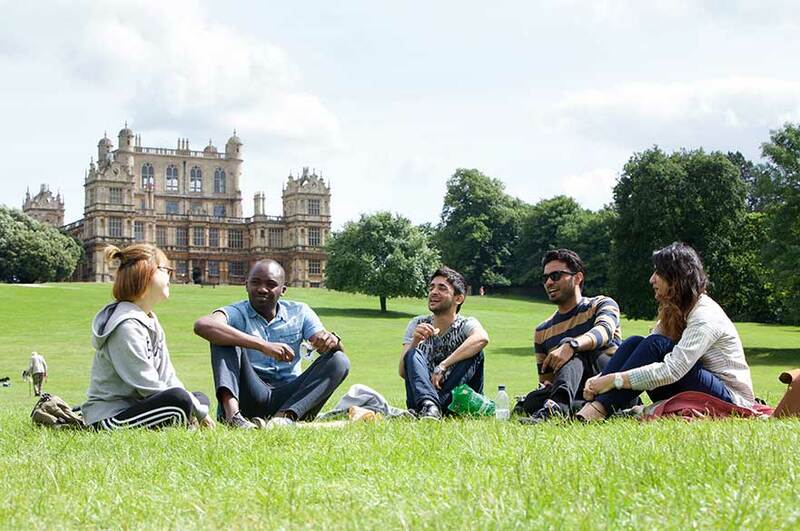 Thankfully, Nottingham is full of relaxing places to explore – either with friends, or on your own. With over 50 Green Flag-accredited spaces on your doorstep – currently more than any other city council in the UK – a genuine piece of the quiet life is never too far away. For decades, our city has enjoyed a national reputation for its greenery, and that tradition continues to go from strength to strength. If you're feeling adventurous and looking to properly stretch your legs, Nottingham's compact size is a real bonus for hikers, climbers, and outdoor enthusiasts. Travel just 20 minutes in any direction and you'll be enjoying lungfuls of fresh country air, as well as some incredible hills, trails and woodlands. Surrounded by water, woodlands and elegant gardens, Brackenhurst is the perfect place to find some peace and quiet. 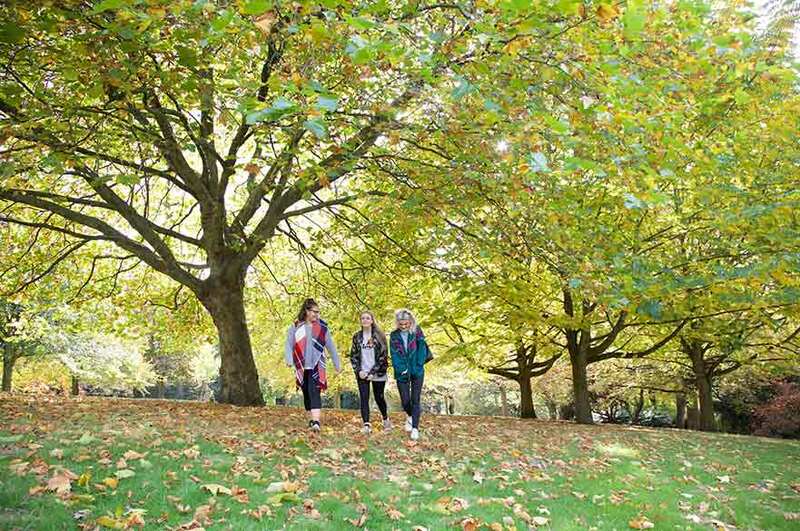 It’s a great escape from the city, and – if you're not already studying here – your chance see a little more of what NTU has to offer. 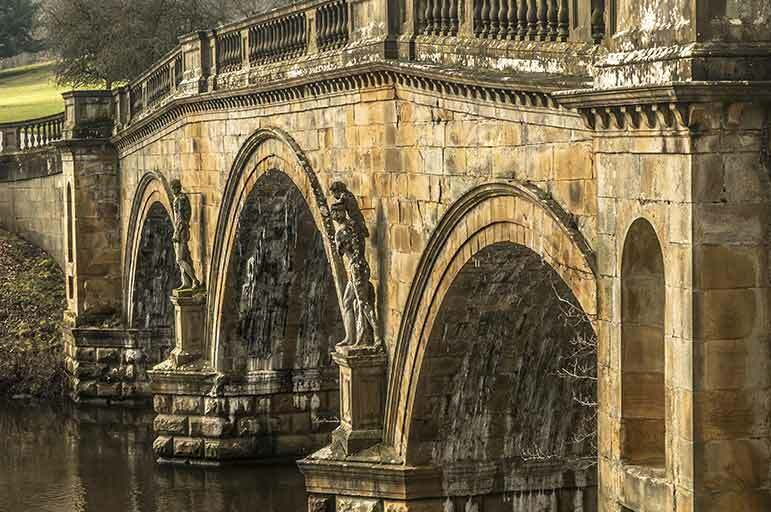 With stunning views, some adorable wildlife and the picturesque market town of Southwell nearby, there's little to rival Brackenhurst on a sunny summer's day. Nottingham's oldest public park is also one of its best-kept secrets. Tucked away minutes from our City Campus, it's a treat in every season – from springtime blossom blizzards, to some gorgeous winter snowscapes. Generations of artists and writers have drawn inspiration from this lush, serene park, including Peter Pan author J.M. Barrie. Rest your head on the Arbo's beautifully manicured lawns, and city life will quickly seem a world away. The granddaddy of Nottingham's public spaces, Wollaton Park is a sprawling, deer-filled estate, capped by an iconic centrepiece — the 16th Century triumph of Wollaton Hall, which has been described as "the architectural sensation of its age." So impressive is the building that Batman Begins director Christopher Nolan adopted the Hall as the new Wayne Manor, with the Dark Knight's logo illuminating our skies throughout the summer of 2012. This stunning park is a haven for dog walkers, joggers, picnickers, festival-goers, and – whenever it snows – sledgers and skaters. A true Nottingham institution! 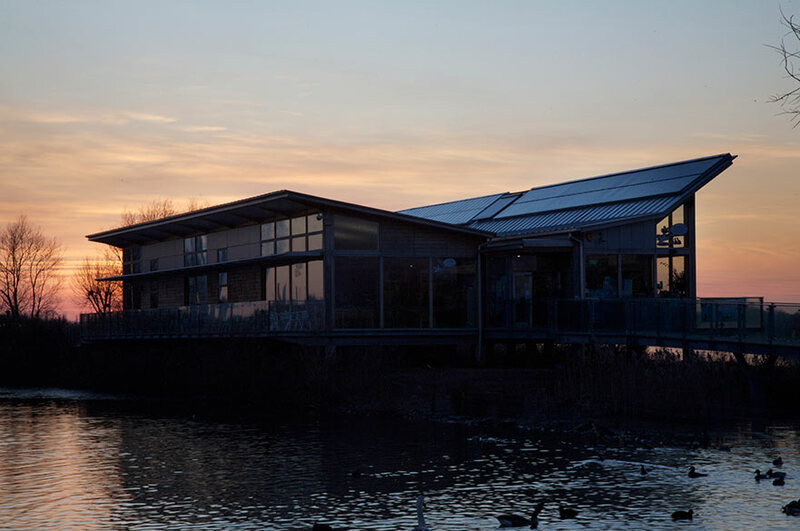 Named by BBC Wildlife magazine as one of the top-ten 'eco places in the world', the Attenborough Nature Centre stands where the River Erewash meets the Trent. Opened (coincidentally) by Sir David Attenborough, this sprawling reserve of lakes, wetlands, grasslands and scrub is a hugely popular destination for Nottingham's runners, walkers and cyclists. Enjoy the wildlife, drink in the famous pink-skied sunsets, and then treat yourself to a slice of cake at the gorgeous Lakeside Café. 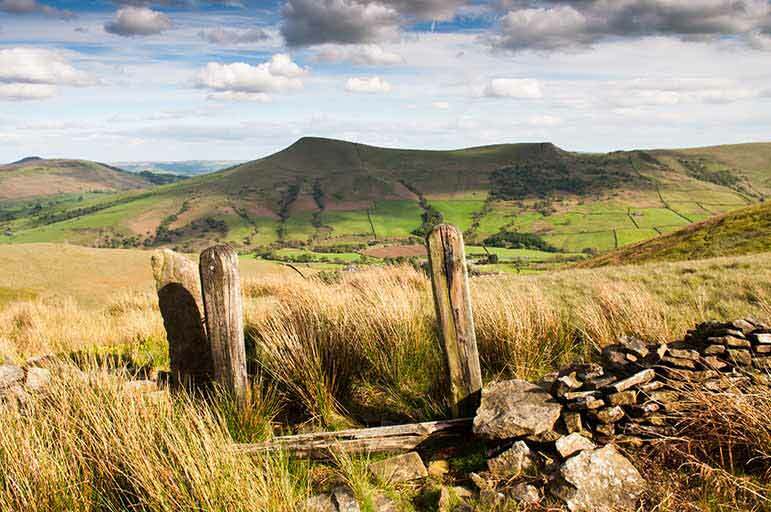 What can we say about the Peak District that hasn't been said already? Whilst it's actually in Derbyshire as opposed to Notts (well, we've got to give them something), the Peaks are a perennially popular attraction for our students, who've been enjoying the walking, riding and climbing on offer here for years. 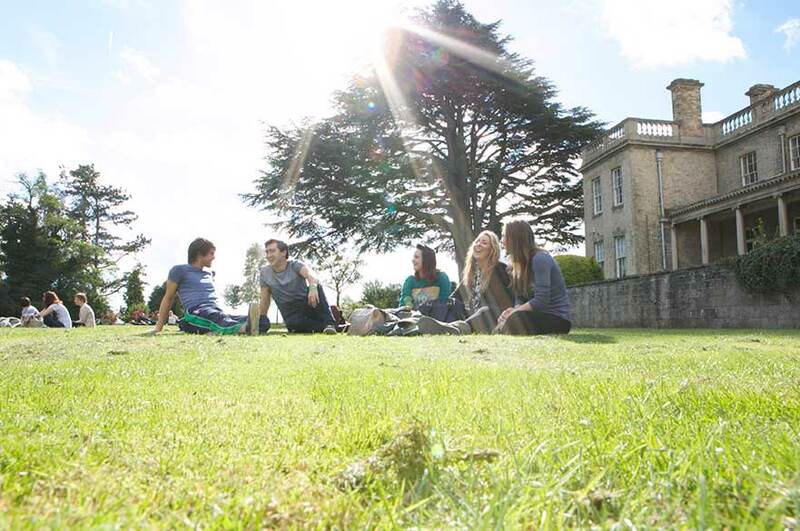 At the weekends, a number of NTU's outdoor societies head straight for the same rolling hills that inspired the Bronte sisters, Lord Byron, and – most importantly – the inventor of Bakewell tarts. Once upon a time, Sherwood Forest covered huge swathes of England. Today, it's confined to a few hundred hectares, 20 miles north of Nottingham... but what's left is beautifully preserved, and well-worth a visit. It's calm, it's quiet, there's miles of walking and cycling trails to explore, and at the centre of it all you'll find the Major Oak – the legendary base of Robin Hood and his Merry Men. 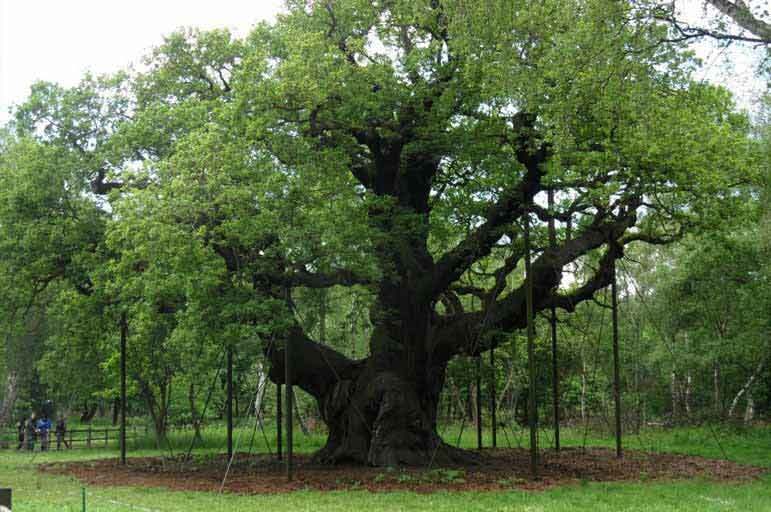 We'll let you make your own mind up as to how a gang of grown men managed to live inside a single oak tree – but Sherwood Forest is an undeniably great day out, whatever the weather.